Free Consultations for Implants, Invisalign, and Sleep Apnea Dentistry. Accepting New Patient appointments now! We are now in network with POMCO Group and Cigna Dental. 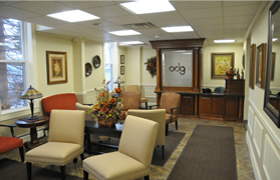 Our practice is a leader in the ever-changing and rapidly developing field of cosmetic dentistry. Our relaxed, spa-like atmosphere has been designed so that you will have the finest experience, while treating yourself to health centered comprehensive dentistry. 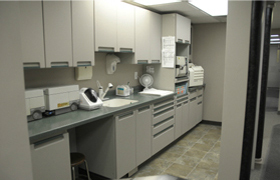 From the moment you walk into our state-of-the-art facility everything is done to make you feel at home. We are committed to partnering with you to ensure that all decisions are made to reflect your values and treatment is delivered in a comfortable yet professional manner. Current research continues to demonstrate the strong connection between oral health and ones overall health. We believe that good dental health is a critical factor in overall health and well being. Our attention to detail not only focuses on beauty, but long term function that is imperative to your well being. 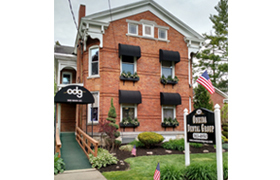 The doctors at Oneida Dental Group use the latest in advanced technology to ensure patients in Oneida NY look their very best. Please feel free to browse our website by clicking on the left navigation menu. We recognize that choosing a health care provider is an important decision that takes time and research. We appreciate your time and we welcome the opportunity to answer any questions that you may have. Congratulations for taking the first step in restoring your mouth to an optimum state of health and beauty!